The Chicago High School Ministry hosts a monthly HighEST (High Schoolers Experience the Spirit Together) event, and in September they rented a gymnasium for a special “HighEST Race” event—a day of games set up in stations. They grouped the youth into teams, which made it easier for them to interact with each other. A member of the staff led each team, which allowed them to get to know the youth more personally while helping them accomplish the tasks needed to win the games. This event was a successful opportunity to break the ice for the rest of the semester. The Youth Ministry team in Chicago made a special effort to invite high school youth who do not participate regularly in events, and fortunately, they were able to see many new faces at this event. The team spirit set a solid foundation of relationships for the year to come. In North Carolina, the youth ministry team demonstrated the theme of Connect through a white water rafting and camping trip. Fourteen high school and college students came out for the weekend, including some youth who have not been very active in the ministry. It was an opportunity to bond through the adventure of working as a team and avoiding rocks or capsizing. In the evening, they camped in the woods overnight, roasting hot dogs, eating smores, playing games and sharing stories of their rafting experience. The youth all expressed enjoyment and looked forward to future events. They appreciated simply being with each other in a culture of love, joy and laughter. The Florida Youth Ministry started a new youth group called SWITCH (Shining with Identity, Truth, Character, and Heart) for the new academic year, leading to many new people attending the first events of the year. The night of their first event began with light-hearted activities that were fun and energizing. They also got to learn each others’ names through a fun activity called the Blanket Game, where a blanket creates a wall between two teams, and a representative from each team must try to say the other person’s name first once the blanket comes down. Later on in the evening, the staff implemented activities provided on the Youth Ministry website to help create a space where participants can connect on a deeper level. They were able to have participants open up and share with one another on a level they have never reached before. They shared about their insecurities, barriers blocking them from being their true selves, and reflections on how people view them versus how they view themselves. They were able to discuss how connection with others is important, and how to begin with connecting to and reflecting upon themselves daily. 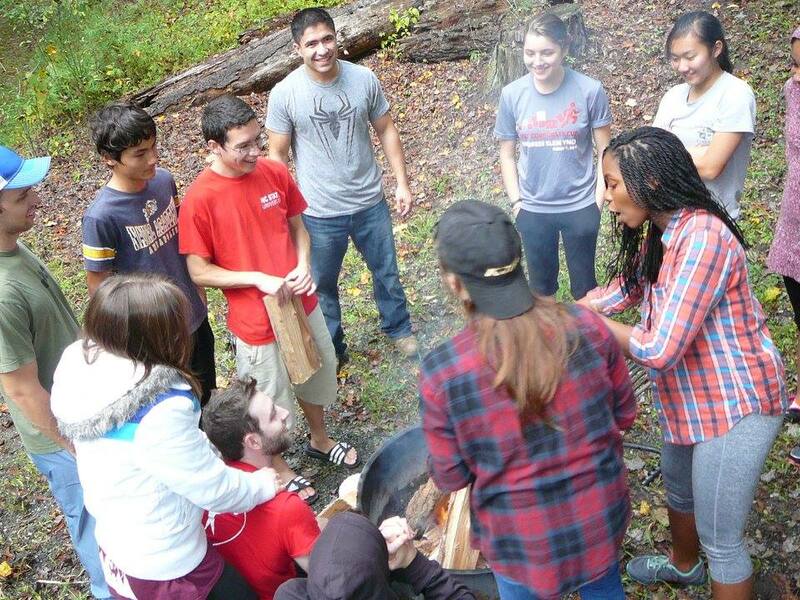 In Bridgeport, Connecticut, the youth ministry team held four events over the course of the last month which had their youth sharing, bonding and creating a foundation for connectedness in the future. The events consisted of a university-wide scavenger hunt, a series of one-on-one pair shares, having conversations about being people who can make a difference for others, and sleepovers. Over the course of the month, the youth had the opportunity to have new conversations about themselves and what is important to them in their lives. They also created relationships with new friends and staff members.